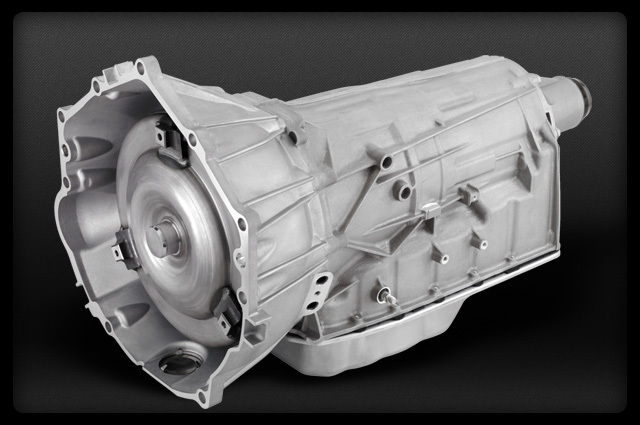 Our Hydra-Matic 6L80E transmission is built strong enough to handle the RPM's and torque of both high end sports cars and heavy duty trucks. 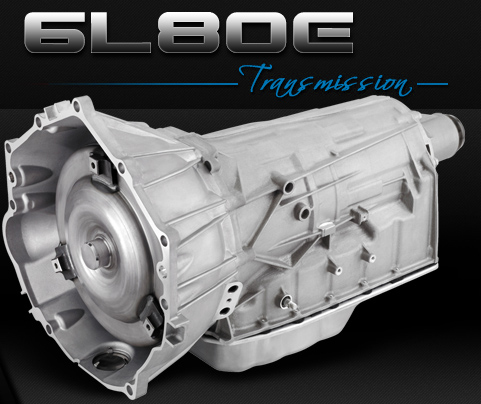 The 6L80E transmission is a 6 speed automatic transmission with both a single and double planetary gear set. The planetary gears provide six forward gear ratios with a reverse. Fully automatic changing of gear ratios is done with the use of the transmission control module or TCM. Here at Smart Parts Automotive we have taken the 6L80E transmission into the next generation with our performance enhancing upgrades. Every transmission has been thoroughly tested to exceed the manufacturers guidelines in performance and handling. The fluid pump is fully detailed with resurfaced pump rotor mating surfaces and machined pump body mating surfaces to maintain correct fluid pressures. Late style stator support shaft with updated seal rings are used exclusively in all units to eliminate seal leakage. Upgraded 38-element low sprag installed in all units to increase holding capacity. The 6L80E transmission Control Module or TCM is re flashed and recalibrated to latest available factory-specific manufacturer calibrations based on VIN codes. New Tech-spec bushings improve internal fluid flow control and pressures. Fully re manufactured 6L80E torque converter is tested for leaks, lockup, concentricity, and balance. Upgrades exceed OE requirements and eliminate the possibility of front seal leaks, premature bushing wear, and vibration. Road simulation using our very own dynamometer testing program. Every 6L80 transmission is cold and hot-tested while using a fully Synthetic transmission fluid and filtration system. Our confidence in the 6L80E transmission can be seen in our premium protection warranty which gives our customers the added piece of mind necessary when driving one of these high end vehicles. The 6L80E transmission features clutch to clutch shifting, this feature eliminated the less affective one way clutches used in older transmissions. I'm looking for a 6L80 Transmission. Is there a difference between the 6L80 and the 6L80E? There is no difference between the 6L80 and the 6L80E. They named this transmission with both but there is absolutely no difference. Will your transmission hold up if I am pulling a trailer with my Silverado? You should have no issues with our six speed transmission as long as you are not pulling over the recommended weight for your pickup truck. 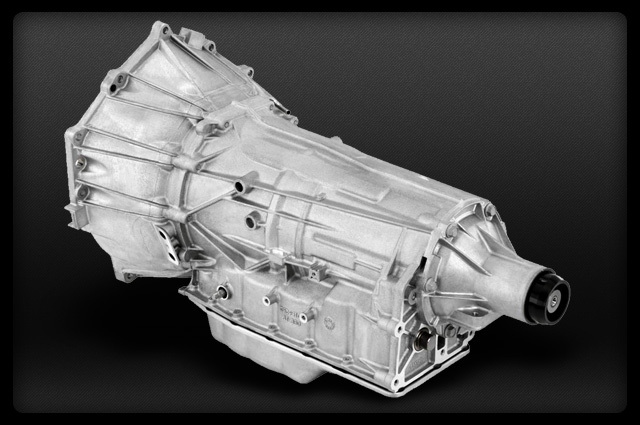 "I recently purchased a 6l80 transmission from Smart Parts and I have to say I am very happy with the customer service and the quality of the transmission." "i was in need of a rebuilt six speed for my Sierra truck and found Smart Parts. I was surprised with there price and decided to give them a shot. I have to say It was exactly what I was looking for." "I was struggling trying to find a replacement transmission for my vehicle. I came across Smart Parts and I was shocked by the great customer service, excellent pricing and quick turnaround. If every business could be like them, we would all be in a better place!" In order to keep our 5R110 Transmission at such an unbelievably low price, we need to take a deposit on your old or broken unit being sent back to us. The core deposit is added to your total then is completely refunded when it unit arrives at our facility. Because we use so many new parts, our rebuild process doesn't require a perfect core to be sent back. Please call or click on the tab for acceptable core conditions and details.